Party Time on the Jerusalem Pub Crawl!! It was time for another crazy pub crawl on my travel corridor! I’ve had some crazy ones down the years, notably Buenos Aires, New York, London and Christchurch. 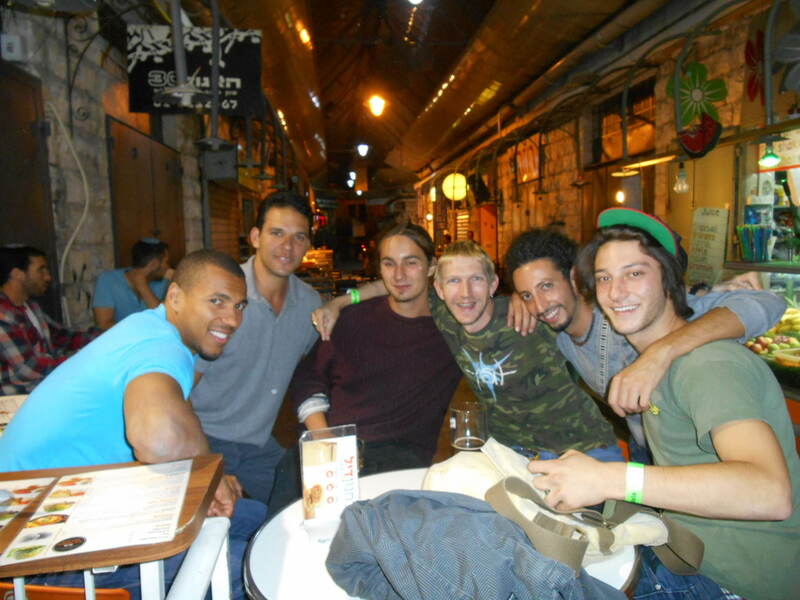 But how about a night on the town in Israel’s ice cool capital city. 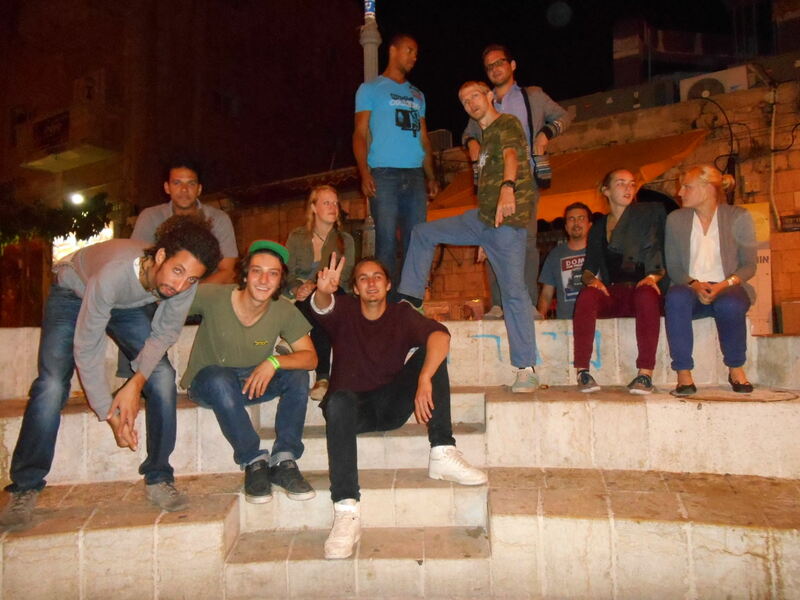 It had to be done and thanks to the awesome guys at the Abraham Hostel, every Wednesday night they run a pub crawl in Jerusalem for 60 Shekels! Including a drink in the Abraham’s Bar (first floor of hostel) and a shot in every bar (we headed to 4 other bars)!! Gotta be a winner. Without further ado, my thirsty Thursdays today comes from a Wednesday in Jerusalem. 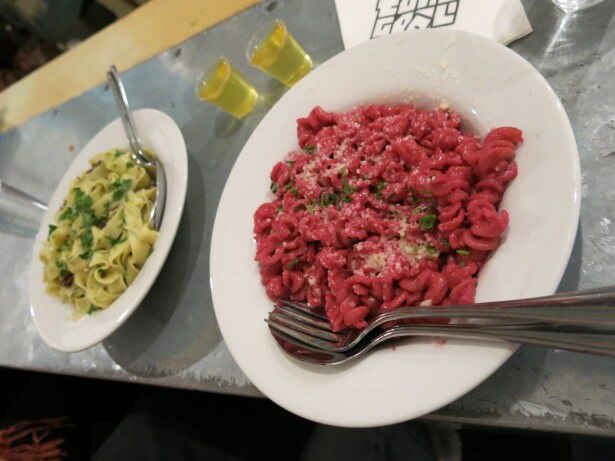 First shot of the day was a free limoncello shot with our pasta meal. I had my first drink of the day, a shot of free Limoncello at Pasta Basta, where my girlfriend and I had dinner after a very insightful tour of Hebron in Palestine during the day time. 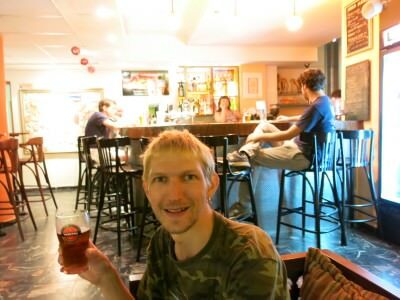 Once back at the hostel, I headed to Abraham’s Bar for the first drink. 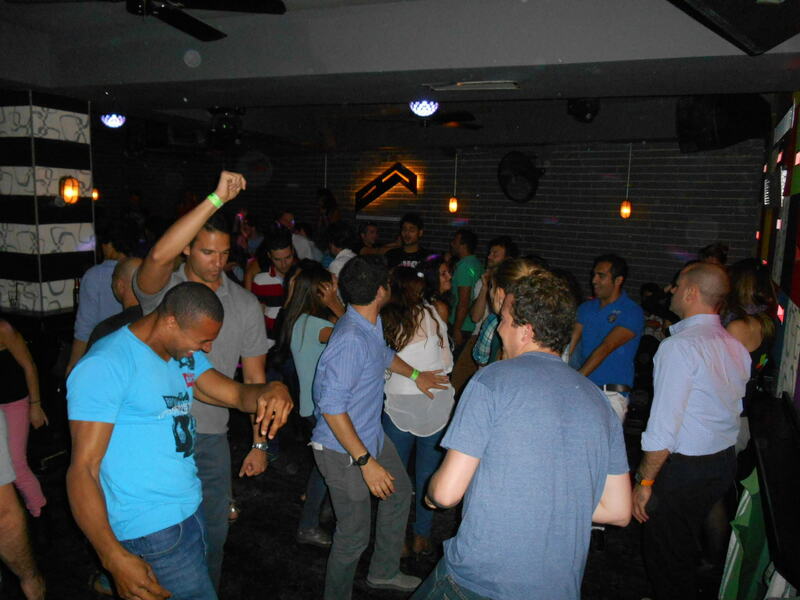 Here’s an overview of the crazy pub crawl. First beer of the night in the Abraham Hostel Bar. The first bar on the Abraham Hostel Pub Crawl naturally was the bar in the hostel itself. 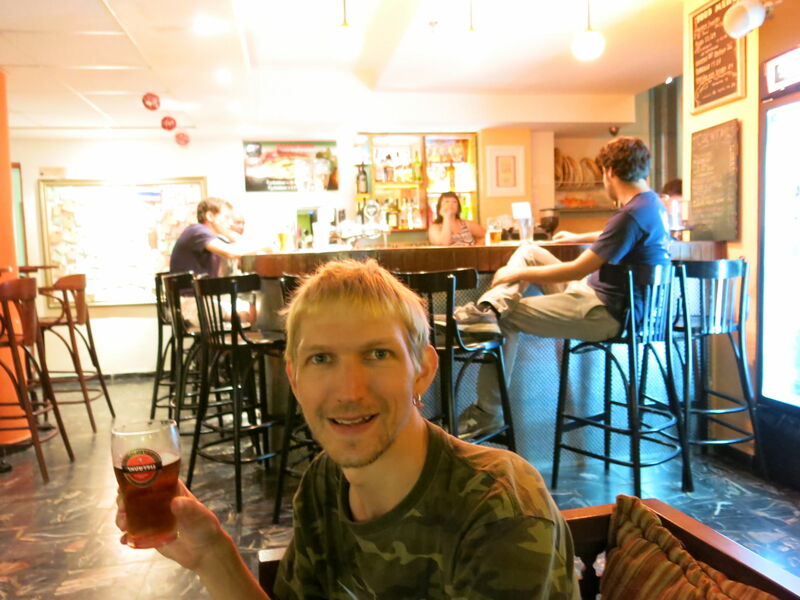 I turn up in the bar to join the pub crawl and meet up with Itiel, one of the hostel staff and event organisers here. We get given wristbands that shows we’re on the pub crawl. We get our first beer. A glass of dark Goldstar beer is what I go for. I meet Mark from Russia, Gabriel from Venezuela and two US guys (Lonnie and Mike). A few others join and we have a group of 13 by the time we head out! Before we head to the second bar, we gather round for an ice breaker in Davidka Square. It’s a round circle of introductions. Who you are, where you’re from and randomly pick a crazy favourite hairstyle. Jonny. Northern Ireland. Green spike. I was thinking of my trip to San Marino in 2009. After getting to know everyone’s name (forgive me guys, after a few beers I had forgotten them again). 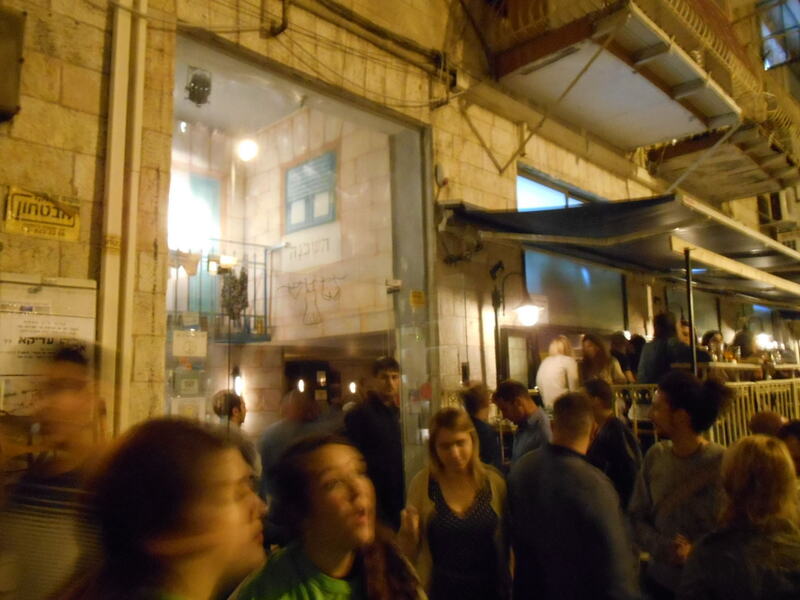 Outside the first bar – the Hashkhena we met a random Israeli politician. I had no idea who it was!! Let’s go inside for a beer and a shot! I think we are told this is a Greek style bar. Whatever it is, it’s cool. I sit and chat to Jordan from Canada about all kinds of travel stuff. I jump at the chance to buy a Guinness on tap so I do. Itiel rounds us up with free shots while the chat is good. There are two German girls on the pub crawl (one is called Laura) and they’re not drinking. Tight cheapskate budget travellers. Yes, that’s me too sometimes but this was a night to spend a bit of cash and party! The second bar – the Hashkhena!! 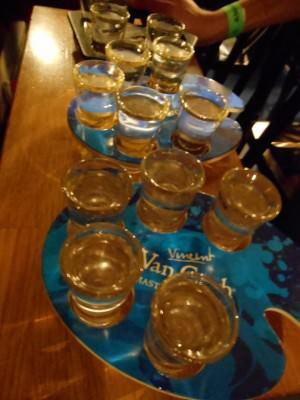 Itiel rounds us all up and delivers a tray full of Arak shots. There are a few spares in fact so I end up with two shots. Shots ahoy in the Hashkhena!! 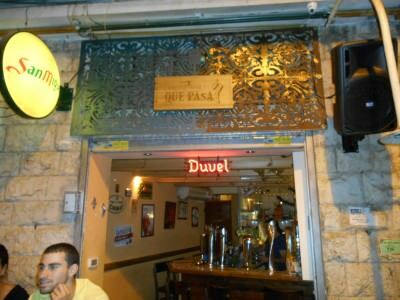 Bar 3 – Que Pasa. Next we headed into the awesome Mahaneh Yehuda Market which closes down its stalls at night, but some bars are open. We started off in Que Pasa. Que Pasa bar inside the Mahaneh Yehuda Market was bar 3. In Que Pasa they had a load of cool beers. I opted for the curious “Irish Red” to see what it was. It was a decent enough pint all in all. We got chatting about travel, beer and yet again another shot arrived in Que Pasa. A few of us started dancing in the street on route to the next bar and some others grabbed a drink in a bar close to Que Pasa. My curious Irish Red in Que Pasa. Thirsty Thursdays: Out with the lads in Que Pasa. Between Que Pasa and Sira bar, we stop in the street for a few group photos. From the next bar onwards, we drink a bit more and this is the last time the group is fully together! Thirsty Thursdays: Our group for the Jerusalem Pub Crawl. 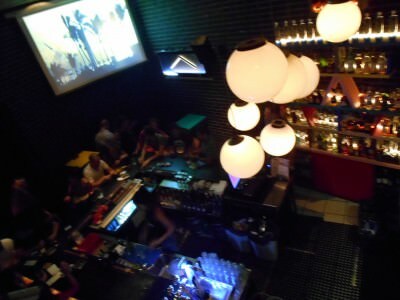 Next we’re off to Sira Bar, which is kind of like a grungy dirty rock joint. It reminded me of some bars in London from my student days. They have an offer in here where you get a whiskey and a beer for a set price (might have been 15 Shekels – can’t remember!). Bar Sira on the pub crawl. Bar Sira also had two or three small rooms. 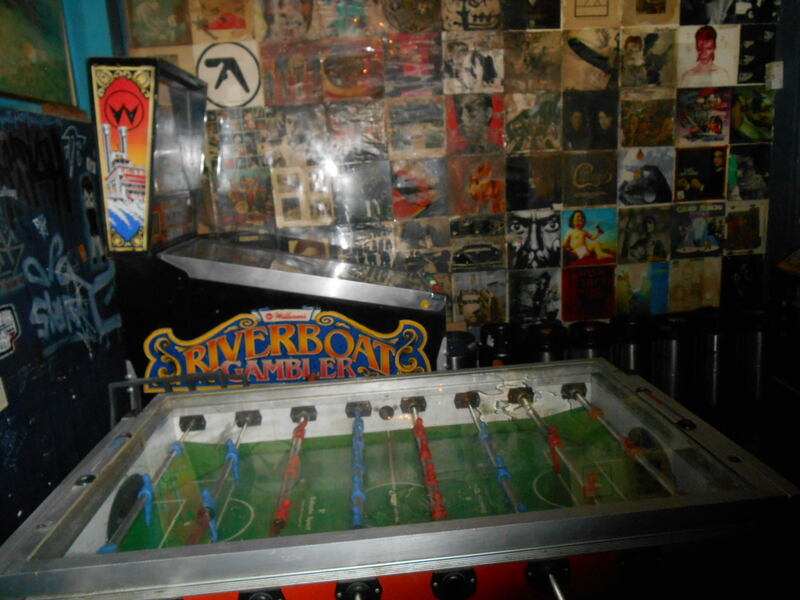 One main bar, one dancefloor and a room that included table football. Again we get all down a shot together in here. 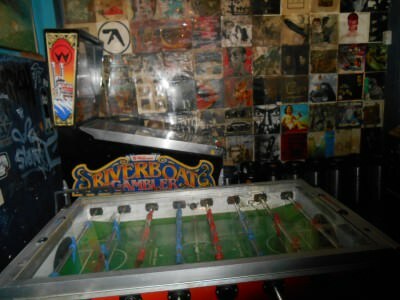 Table football in Sira Bar. Bar Sira has a random open window view into the men’s urinal. A couple of German girls stand at the window and shout at one of the lads “we’re looking at your willy!”. Again this reminded me of a student bar I used to go into in Bournemouth, which had video cameras of the gents in the girls toilets and vice versa. No harm done really and no perverts. 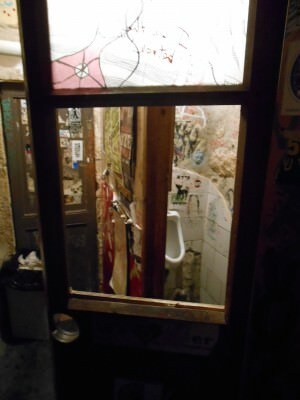 The “willy toilet” in Bar Sira. Toy Bar was the loud and dancey one where we all finished the night. The upstairs bit was the quieter and relaxed bar. Downstairs was noisy, lively and basically a nightclub. Again a free shot was given to everyone on the pub crawl and I had a few beers then headed home. 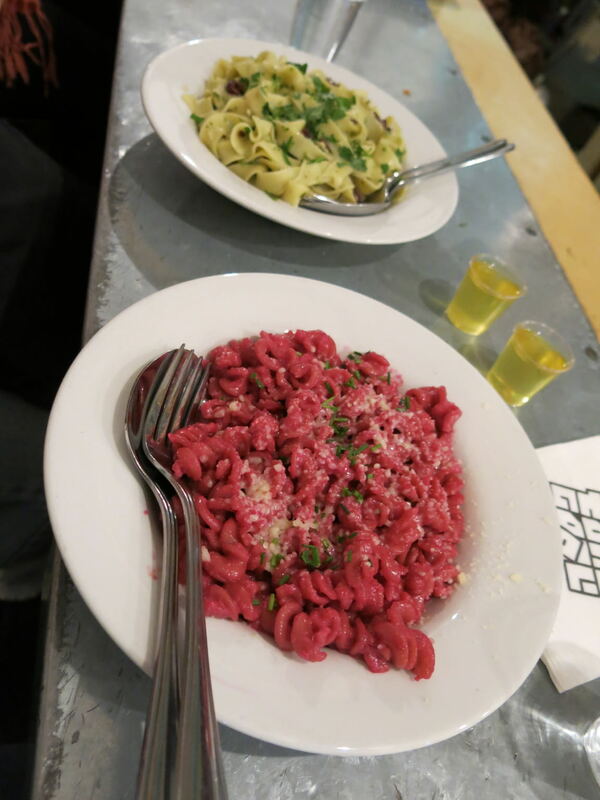 It was a great night – we had an early start the next day on a Market Cooking Tour. 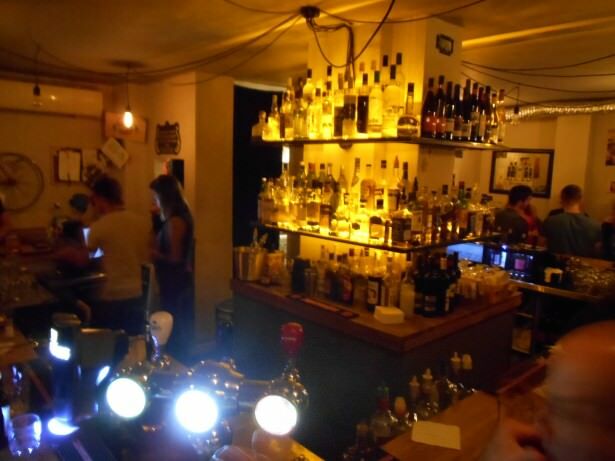 Toy Bar – last bar of the night! 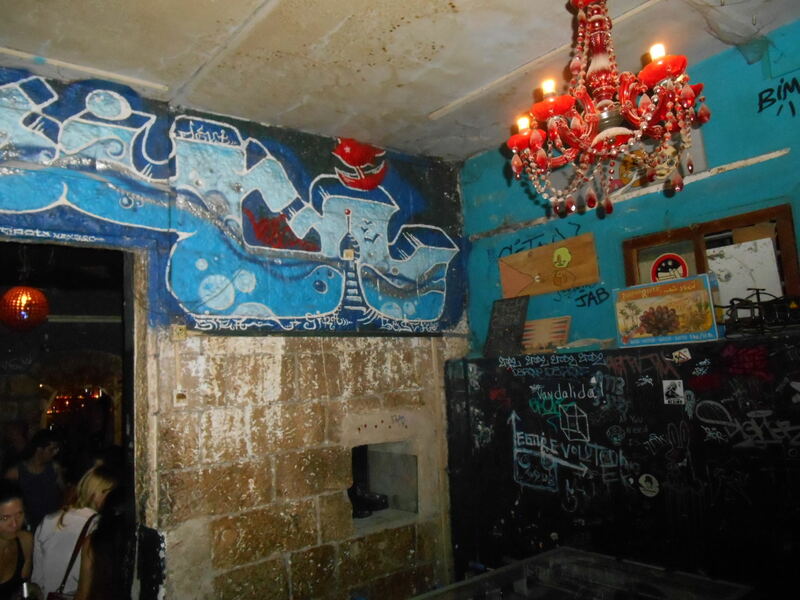 Thirsty Thursdays: the dancefloor in Toy Bar, Jerusalem, Israel. 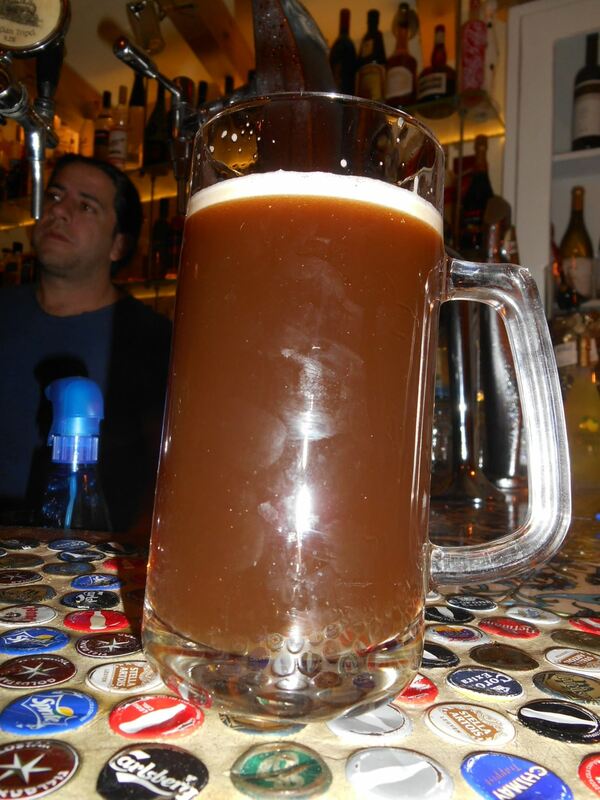 Thanks to Itiel Sharaby for remembering the names of all the bars and organising such a fantastic pub crawl. Jerusalem is a great city to party in. There are LOADS of cool bars, pubs and clubs. If your travels take you there, be sure to hit up Abraham Hostels and get onto the Abraham Hostel pub crawl!! This entry was posted in Abraham Hostel, Abraham Tours, Bars, Beer, Central Asia/Middle East, Daily Features, Destinations, Israel, Jerusalem, Pub Crawls, Thirsty Thursdays, Tourist Israel. Bookmark the permalink.